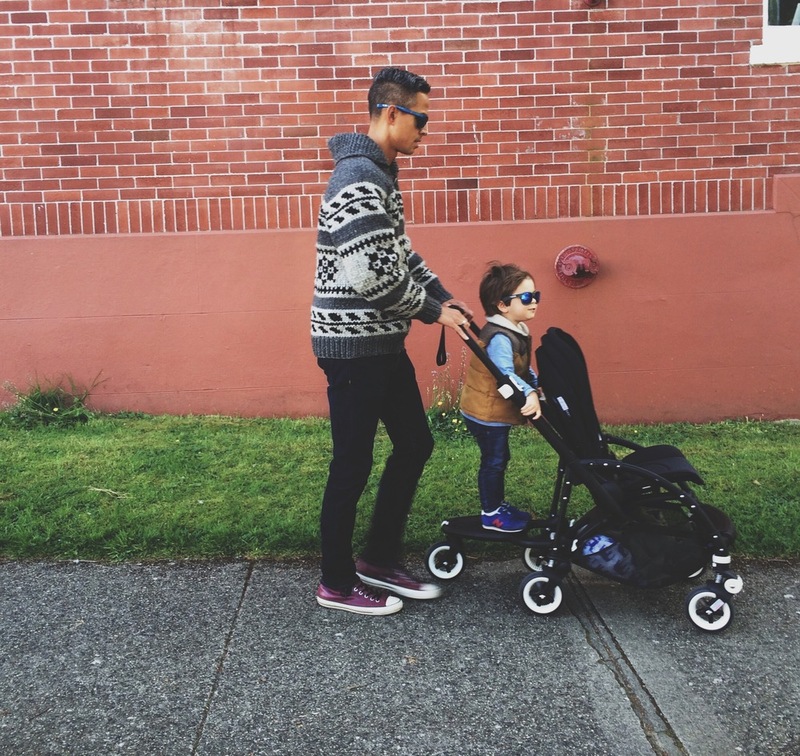 We took our Bugaboo Bee out for a ride the other night with the Ride Along Board on the back. It might have looked a little funny without another kid in the stroller but we have been trying to get Theo excited about our new stroller for the new baby. We are calling the Ride Along Board his scooter and so far it is a big hit! We walked about 20 mins each way to dinner without him falling or jumping off. I agonized over getting the Bugaboo stroller board or a universal board for a lower cost. But with how US exchange is right now I found the universal boards weren't much less so opted for the Bugaboo. I'll be sure to update on how the Bee works for us when Baby arrives this summer. So far we have found it easy to install and maneuver. While this stroller expense has been a big one, something I learned the first time around is you really don't want to save money or cheap out on the items that lead to your freedom or make your life as a mother easier in a big way. We only have one car (besides our recreational Westy) so I am reliant on our stroller like it's my main vehicle as Trevor needs the car for work. My stroller needs to get me around town, and accomplish chores all the while fitting through narrow doorways and tiny shops.